What is Long Term Inpatient Drug Rehab Center? Long term Inpatient drug rehab centers were designed for individuals who are addicted to the harder drugs such as Crystal meth, Crack, Oxycontin, Heroin, Methadone and many others. Long term Inpatient drug rehab centers, however, are not limited to just these cases. Many alcoholics and others benefit from the care of a long care treatment center. Upon checking into a long term inpatient drug rehab centers, you or a loved one can expect to stay a minimum of 45 days. That time is needed to clear the body of the toxins of the drugs and also so the individual can learn new ways to cope with the triggers of their dependency. Drugs affect the mind, body and spirit, so when someone is overcoming drugs, all three of those areas must be targeted as well or healing is not complete. What Makes a Long Term Inpatient Drug Rehab Center Successful? You or your loved one deserves all of the care and understanding available. You also need the facts, and some of them are cold, hard facts. Part of healing is understanding that hurt and pain that were caused as a result of the addiction. That part of recovery is not easy either, but it is just as necessary as detox. Being at a long term inpatient drug rehab centers also removes you from temptation. As mentioned, especially at first, the temptation to do drugs may be very strong. By being out of the home environment or away from the people and places you normally went to obtain drugs, you are making yourself stronger. When someone really wants to turn away from something harmful, distance is one of the factors to be considered. You want to be in a healing environment learning strategies that will help you for the rest of your life. Drugs are addictive for a reason so learning every strategy available to help you stay clean should be the focus of your time at rehab. 45,60 or even 90 days in a long term inpatient drug rehab centers normally gives an individual enough time to fully realize what the drugs have done to them, and their loved ones. They can, from there, work out a new life plan as well as strategies to keep avoiding drugs and drug environments. There are many choices to be made when choosing to become drug free. One of those choices is whether to take advantage of inpatient drug rehab centers as opposed to outpatient centers. For drugs such as Crack, Crystal meth, Oxycontin, Methadone and many others, the temptation may just be too strong to rely on an outpatient drug rehab center. Don’t choose lightly. Different drug rehab centers have different mission statements and different methods of treatment. You or your loved one will want to choose the drug rehab center with a higher success rate and one that treats the whole person. 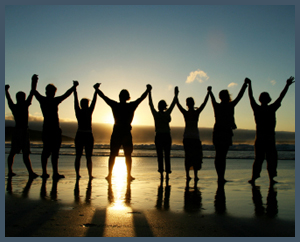 Long term inpatient drug rehab centers equip you for living a drug free life. Choosing the right one may just reduce the chances that you will have to repeat the process due to a relapse. The good news is that this is the beginning of a new life for the addict and his or her family and loved ones. There is a brighter future on the other side of addiction and you are about to discover how wonderful that can be.